Trademarks in India are governed by the Trademarks Act 1999, which supersedes the Trade and Merchandise Marks Act 1958. The Trademarks Rules 2017 supplement the Trademarks Act. India is a member of the Madrid Agreement Concerning the International Registration of Trademarks. While an action for passing off is a Common Law remedy being in substance an action for deceit, that is, a passing off by a person of his own goods as those of another, that is not the gist of an action for infringement. The action for infringement is a statutory remedy conferred on the registered proprietor of a registered trademark for the vindication of ‘the exclusive right to use of the trademark in relation to those goods’… The use by the defendant of the trademark of the plaintiff is not essential in an action for passing off, but is the sine qua non in the case of an action for infringement… if the essential features of the trademark of the plaintiff have been adopted by the defendant, the fact that the get-up, packing and other writing or marks on the goods or on the packets in which he offers his goods for sale show marked differences, or indicate clearly a trade origin different from that of the registered proprietor of the mark would be immaterial, whereas in the case of passing off, the defendant may escape liability if he can show that the added matter is sufficient to distinguish his goods from those of the plaintiff. Infringement: In order to file for trademark infringement, the plaintiff must hold a trademark registration. Section 29(9) clarifies that where the distinctive elements of a registered trademark consist of words, the trademark may be infringed by use of these words orally or in writing. Passing off: Passing off is a common law remedy available to the proprietor of an unregistered trademark that can show that its trademark, on account of prior, extensive and continuous commercial use, has acquired goodwill and reputation in the trade, and use of a deceptively similar mark amounts to misrepresentation to the public, causing injury and damage not only to the proprietor, but also to the goodwill and reputation of the trademark. The trinity of fundamental elements of passing off (reputation, misrepresentation and damage to goodwill) were established by the UK House of Lords in Reckitt & Coleman Ltd v Borden Inc ( 1 All ER 873). In Patel v Shah (AIR 2002 SC 275) the Indian Supreme Court held that the plaintiff need not show actual damage: mere likelihood thereof is sufficient. Under Section 89 of the Code of Civil Procedure 1908, the court may refer a dispute to arbitration, conciliation or mediation where it appears that there exist elements of a settlement which may be acceptable to the parties. In practice, many infringement and passing-off actions are indeed referred to mediation, and many such proceedings result in settlements. Hierarchy of courts: In India, courts follow a strict pyramidal structure. At the bottom are subordinate civil courts and courts of small causes, which are below district courts. The district courts are subordinate to high courts (one per state). At the top is the Supreme Court, whose decisions are binding on all subordinate courts. Normally, high courts do not have first instance/original jurisdiction, except the high courts of Bombay, Calcutta, Delhi and Madras. Jurisdiction: According to Section 134(1) of the Trademarks Act, only district courts and high courts exercising ordinary original civil jurisdiction can hear infringement or passing off cases. In addition, Section 20 of the Code of Civil Procedure provides that civil suits (including intellectual property) are to be heard where the defendant carries on business or where the cause of action arises, wholly or in part. However, Section 134(2) of the Trademarks Act allows a rights holder to sue instead at a place where it carries on business. This freedom has now been restricted (see below). In Indian Performing Rights Society v Dalia (2015 (63) PTC 1 (SC)) the Supreme Court held that if infringement has occurred at a place where the rights holder carries on business, the rights holder will be deemed to be carrying on business only at such place for the purpose of territorial jurisdiction under Section 134(2), notwithstanding the fact that the rights holder may be carrying on business at other places. In PK Sen v Exxon (2017 (69) PTC 271) the Delhi High Court ruled that in a suit for trademark infringement, a foreign brand owner can avail of the jurisdiction in which its Indian licensee is carrying on business only if the licence agreement is recorded with the registrar of trademarks. An appeal against this judgment has been dismissed by the Supreme Court. 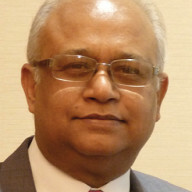 In 2015 the Indian legislature passed a new act – the Commercial Courts Act – which came into effect in January 2016, with the objective of streamlining and expediting commercial lawsuits, including IP disputes. Under the act, commercial courts are established at the district level and commercial divisions are established within high courts with ordinary original civil jurisdiction. The commercial appellate division of the relevant high court will be competent to hear appeals of decisions of commercial courts and commercial divisions. The act applies only to “commercial disputes of specified value”. Initially, the act applied to lawsuits relating to commercial matters whose value exceeded Rs10 million (approximately $150,000). However, an amendment was effected in August 2018, whereby the stipulated value was reduced to Rs300,000 (approximately $4,200). Where the value is below Rs300,000, the suit is to be instituted before the competent subordinate court or district court that has jurisdiction over such matters. The act has also introduced summary judgments for commercial disputes. Any party that feels that its opponent has no real prospect of succeeding in or defending a claim and that recording evidence would be superfluous may apply for a summary judgment. This procedure is meant to ensure speedier disposal of suits, since they can be shorn of stereotypical and hopeless claims or defences. The act also provides for case management hearings during which the court will set timelines for further proceedings. The endeavour will be to hear and conclude oral arguments within six months of the time when the parties have finished reviewing all the documents. Plaintiffs can claim damages or rendition of accounts – not both. In Titan Industries v Jain (2006 (32) PTC 95 Del), the Delhi High Court held that where damages and rendition of accounts are claimed together, the plaintiff must elect one single relief during the course of trial. More recently, the same court in Cartier International v Bhatia (2016 (65) PTC 168 (Del)) awarded unprecedented damages of Rs10 million to the plaintiff in an ex parte suit against defendants selling counterfeit watches of luxury brands online. But where the plaintiff provides scant evidence of any damage suffered, the court will award minimal damages (see Prestige Housewares v Gupta 2007 (34) PTC 335 (Del)). Under Section 135(3) of the Trademarks Act, a defendant in an infringement suit is exempt from rendering accounts or paying damages if it satisfies the court that it was unaware and had no reasonable grounds to believe that the plaintiff’s trademark was registered. Such exemption also exists in an action for passing off, if the court is satisfied that the defendant was unaware of and had no reasonable grounds to believe that the plaintiff’s mark was in use, and that when it became aware of the existence and nature of the plaintiff’s mark, it stopped the use complained of. Although Section 135(1) of the Trademarks Act talks about “delivery up of the infringing labels and marks for destruction or erasure” only, and not of infringing goods themselves, it is not uncommon for plaintiffs to apply for the delivery up of the infringing goods as well. This is because Section 135(1) is an inclusive, non-exhaustive provision. There is a real possibility that the defendant might destroy or dispose of such material defeating ends of justice. It is for courts to decide whether two competing marks are deceptively similar; this cannot be left to witnesses (see Ciba Ltd v Ramalingam, AIR 1958 Bom 56). The courts may consider witness statements, however, in assessing whether marks are confusingly similar. Before filing a lawsuit, it is essential for rights holders to gather all documents relevant to the case. These documents must be filed along with the complaint itself. Once rights holders have become aware of third-party infringement, it is not uncommon to engage independent investigators to ascertain the nature and extent of the infringing activities. The questions must not lead or cause the respondent to speculate. Section 31 of the Trademarks Act states that the registration certificate is only prima facie proof of validity of the mark. Further, the rights conferred under Section 28(1) are contingent on the registration being valid. A defendant may thus plead invalidity of a registration in an infringement suit, coupled with filing a petition for cancellation of the registration before the Intellectual Property Appellate Board (IPAB), an independent statutory tribunal for adjudicating such petitions. If the court finds the plea of invalidity to be prima facie tenable, it will stay trial of the suit to await the outcome of the cancellation petition filed before the IPAB. However, this will not preclude the court from ordering an interim injunction where appropriate. If the IPAB cancels the trademark registration, the suit for infringement will not survive and the defendant will escape liability. Section 30(1) of the Trademarks Act protects a defendant’s use of the plaintiff’s trademark where such use is for the purposes of identifying the proprietor of the mark. For instance, a shopkeeper may display items or promotional material with a registered trademark, provided that this use identifies the proprietor with its goods or services. However a shopkeeper may not use that trademark to identify the goods or services of someone else (see Kamath v Lime and Chilli Hospitality, 2015 (62) PTC 23 (Bom)). Further, the use must not be such as to take unfair advantage of, or be detrimental to, the distinctive character or repute of the plaintiff’s trademark. Section 30(2)(a) allows use of a mark in relation to goods or services to indicate the kind, quality, purpose, value and geographical origin of the goods or services, among other things. This “use of a mark” is not the same as “the use of a mark as a trademark”. It is the use of a sign purely for descriptive purposes (see Kamath, referenced above). the purpose or effect of the use is not to indicate a connection in the course of trade between any person and the goods or services. In Hawkins v Murugan (2008 (36) PTC 290 (Del)) the judge ruled that where the defendant used the words ‘Suitable for Hawkins Cookers’ in conjunction with its own brand MAYUR in relation to gaskets used for pressure cookers, there was no infringement of the plaintiff’s trademark HAWKINS in view of Section 30(2)(d). This decision was overturned on appeal (2012 (50) PTC 389 (Del)), where the court held that the term ‘reasonably necessary’ meant that the defendant was not justified in using the plaintiff’s trademark as the gaskets could also be used in relation to pressure cookers of other manufacturers. Section 30(3) provides that a registered proprietor’s rights are exhausted once the proprietor puts the goods on the market. The interpretation of the term ‘market’ has been the subject of great controversy. Whether the sale of genuine imported goods in India would amount to infringement is pending before the Supreme Court. The Appellate Bench of the Delhi High Court, in Kapil Wadhwa v Samsung (2013 (53) PTC 112 (Del)(DB)), had reversed the single judge’s finding and held that India follows the principle of international exhaustion, which implies that the sale of goods anywhere in the world exhausts the rights of the trademark owner. However, the ‘exhaustion defence’ is not available if legitimate reasons exist for the proprietor to oppose further dealings in the goods (eg, a change or impairment in the condition of the goods after they have been put on the market (see Section 30(4))). Section 34 protects a prior user’s right against the registration of an identical or deceptively similar trademark by a subsequent user. In Neon Laboratories v Medical Technologies (2015 (64) PTC 225 (SC)) the Supreme Court upheld an injunction in favour of the prior user of an unregistered mark against a party which held a prior registration, but whose use was subsequent. Section 35 precludes a registered proprietor from preventing others from doing business in their own name in good faith. In Precious Jewels v Varun Gems (2015 (1) SCC 160) the Supreme Court vacated an injunction order issued in favour of the plaintiff against using the trademark RAKYAN for jewellery, when both parties belonged to the same family and shared the surname Rakyan. An appeal from an order or judgment of a district court goes before the relevant state’s high court. An appeal from an order of a single judge of a high court exercising ordinary original civil jurisdiction goes before the division bench of the high court. As per Section 104 of the Code of Civil Procedure, it is not normally possible to appeal further. However, under Article 136 of the Constitution of India, the Supreme Court has authority and discretion to grant leave to hear an appeal from any judgment, decree, determination, sentence or order in any cause or matter passed or made by any court or tribunal in India. Hemant Singh is a renowned litigator and founder and managing partner of Inttl Advocare, one of India’s leading IP law firms. He has handled more than 2,100 IP cases in various courts across India. With diverse worldwide clientele, he represents several Fortune 100 and 500 companies. He is the International Trademark Association’s (INTA) counsel in their first ever amicus brief before the Indian Supreme Court in a case involving parallel imports. Mr Singh has been on INTA’s board of directors since 2016 and is chair of the INTA Anti-counterfeiting Committee South-Asia Sub-committee; co-chair of INTA India Global Advisory Council; a member of the Asian Patent Attorneys Association (APAA) Emerging IP Rights Committee; an APAA council member; vice president of the International Association for the Protection of Intellectual Property (India group); a member of MARQUES; and a member of the IP Rights Committee of the Federation of Indian Chambers of Commerce and Industry. With more than 19 years’ litigation experience, Mamta Rani Jha currently heads the litigation practice at Inttl Advocare, one of India’s leading IP law firms. 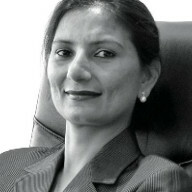 Her expertise lies in advising and strategising effective enforcement qua patents, trademarks, designs and copyright. She also has experience in IT, telecoms, media and antitrust law. As well as litigation, Ms Rani Jha actively advises clients on IP licensing, auditing, contract drafting and negotiation, business venture evaluation and due diligence, anti-counterfeiting and border-control measures. She has represented leading global pharmaceutical companies, as well as electronics and telecoms giants in key patent litigation cases. She has also successfully handled contentious trademark, design and copyright litigation for Fortune 500 companies across various sectors.